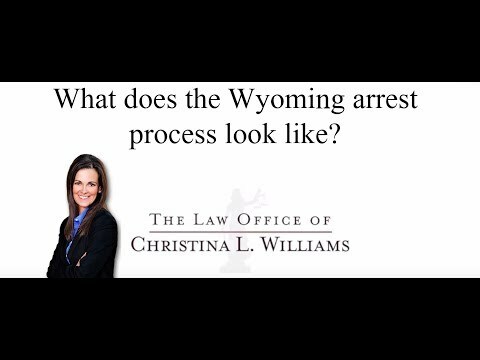 If you are arrested in Wyoming, as a Wyoming citizen, law enforcement must have probable cause of each element of the crime that you are arrested for. That is, for example, if you are arrested for a DUI, the officer is going to have to be able to show through the DUI investigation that 1 – you were operating a motor vehicle, 2 – in Campbell county and 3 – you were over a .08, that’s the legal limit, or that you were unable to safely drive the motor vehicle. Another subsection of that is that you were in actual physical control of the motor vehicle. That is, even though you weren’t driving, you had the keys and you were able to drive. If you are parked in a parking lot and you have the keys in your pocket, you can be arrested for a DUI. Law enforcement must show some evidence of each one of those elements in order to arrest you and require you to appear in court.